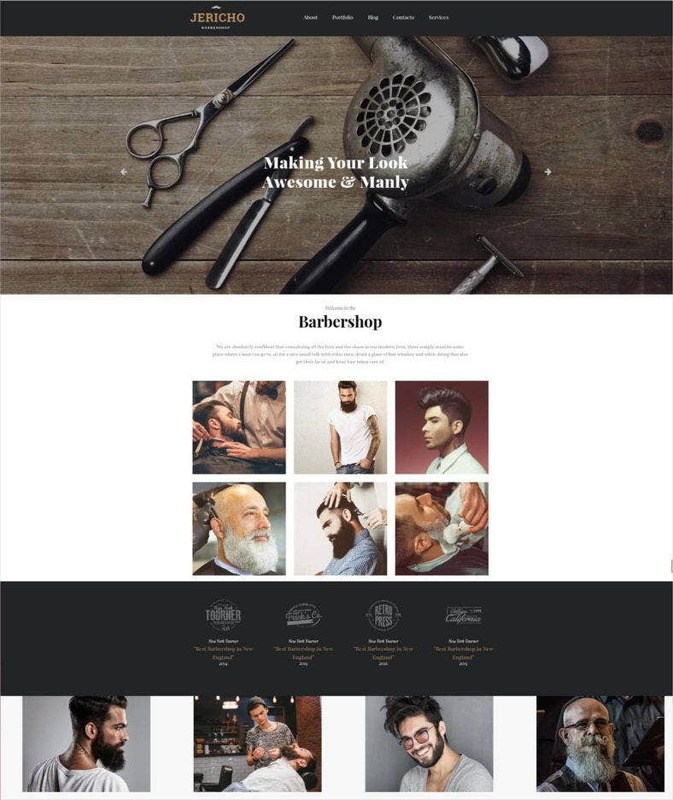 We now present to you a wonderful collection of the top stylish HTML5 template designs for hair salons and barber shops. Be it the uber modern facilities with attached spas and mud baths or the old school high chairs, you can get a suitable theme for every kind of business. 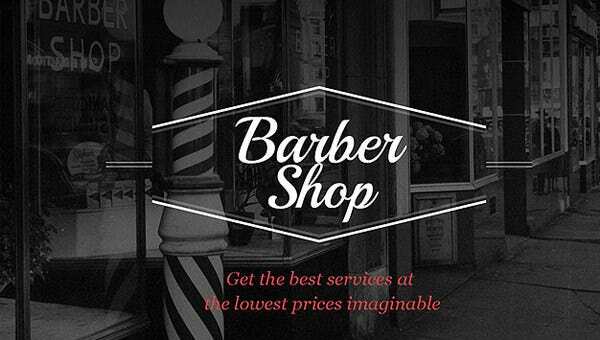 Each barber shop website template is powered by editable SEO friendly coding. 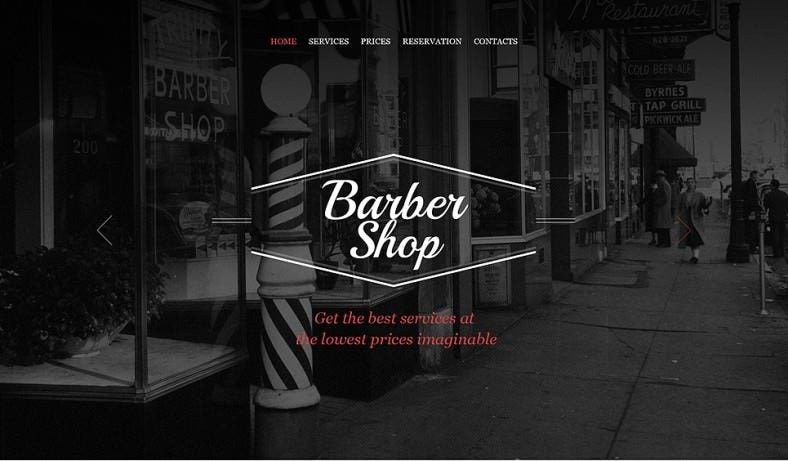 This sample of parallax effect website template for barber shop has a clean and minimalistic design. 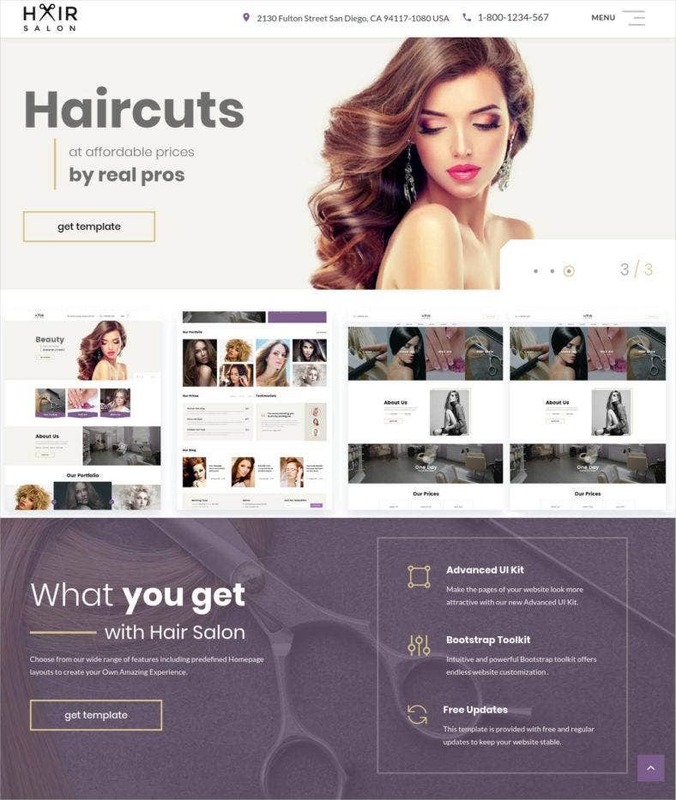 It is one of the best html templates with cross browser compatibility, multiple slider styles, responsive layout design, SEO rich content, and custom short codes. 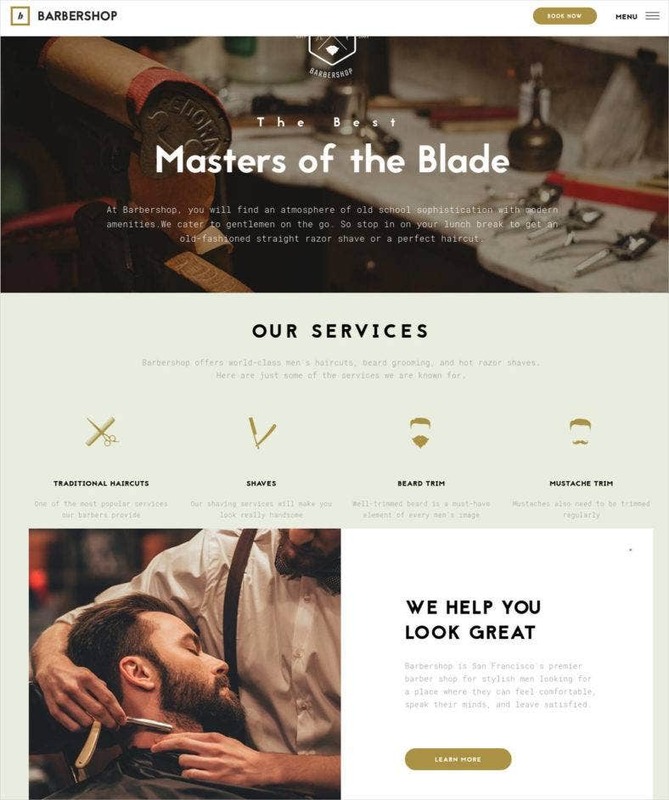 This sample of full width website template for hairdressers, barber shops has all the features that are considered necessary by people in this business. 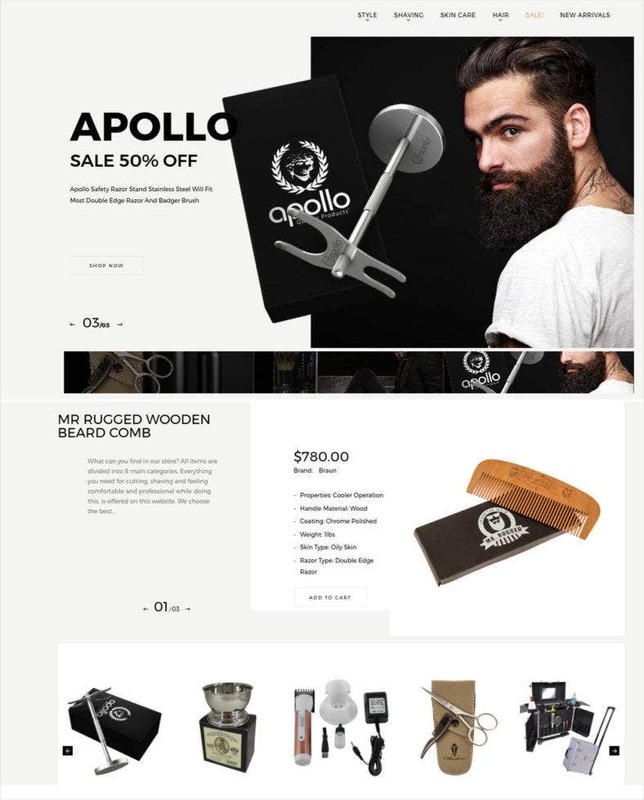 Features included in this sample includes a responsive design based on twitter bootstrap 3.3.5, ecommerce store, events, staff pages, services management, pricing, multiple blog layouts, dozens of short-codes, and multiple gallery layouts. 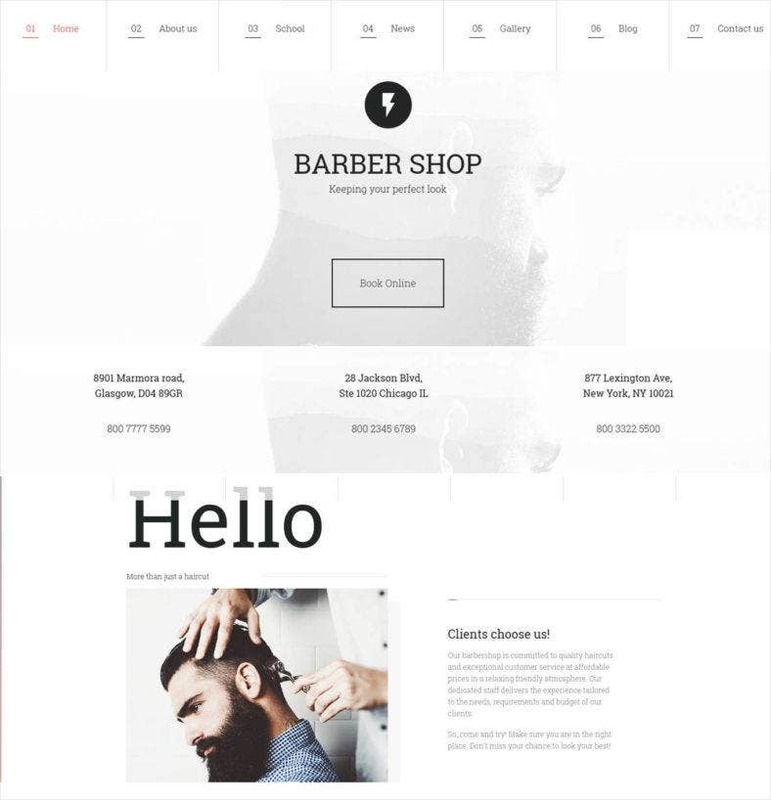 This sample of one page template for hair salon and barber shop is based on a clean and modern layout. 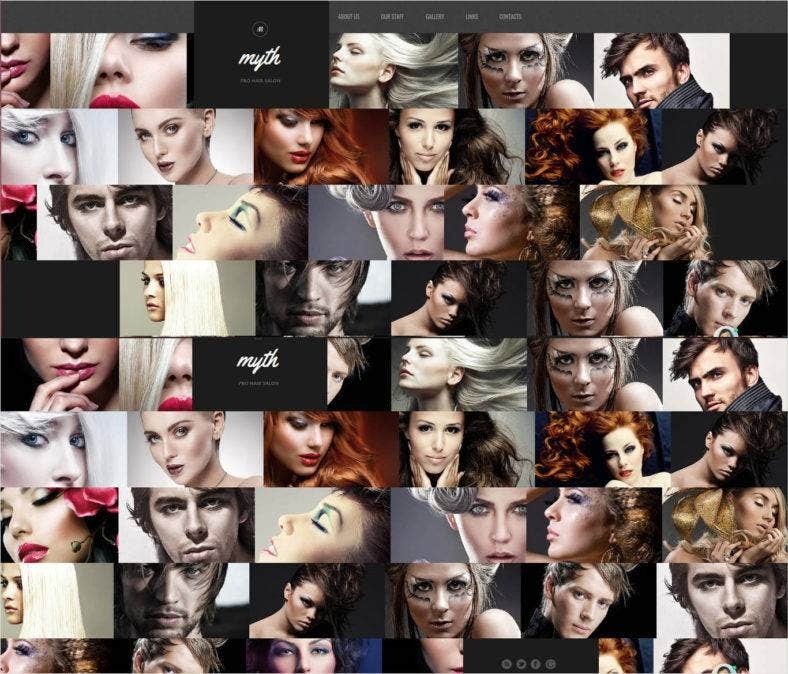 This template is designed to be used with Adobe Muse CC 2014.3.2.11. This template has a single page feature and comes with a desktop, tablet and mobile version. It supports parallax scrolling, along with different types of web fonts and icons. 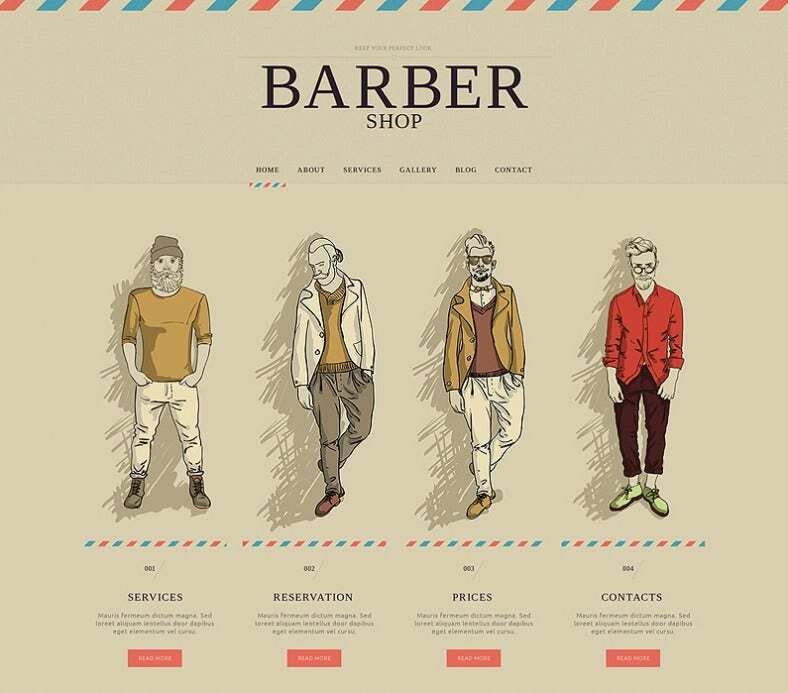 This sample of barber shop responsive website template has lot of color options and sports flaccid design. 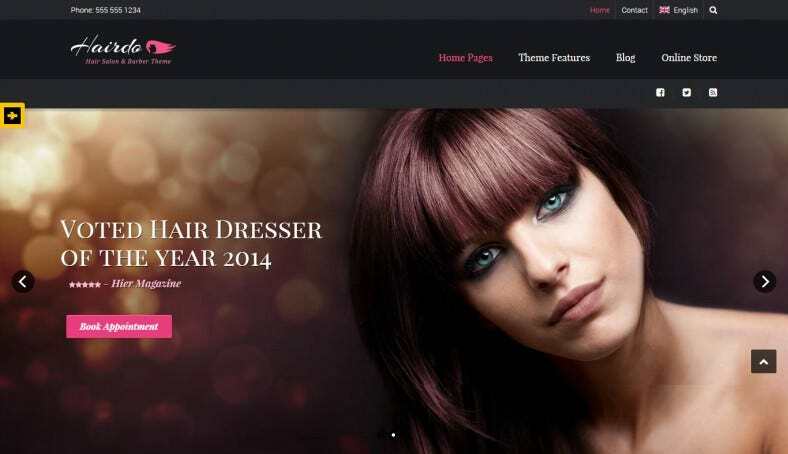 Additional features includes a responsive design, HTML plus and JS animation. This template also features social media integration feature and is SEO optimized as well. 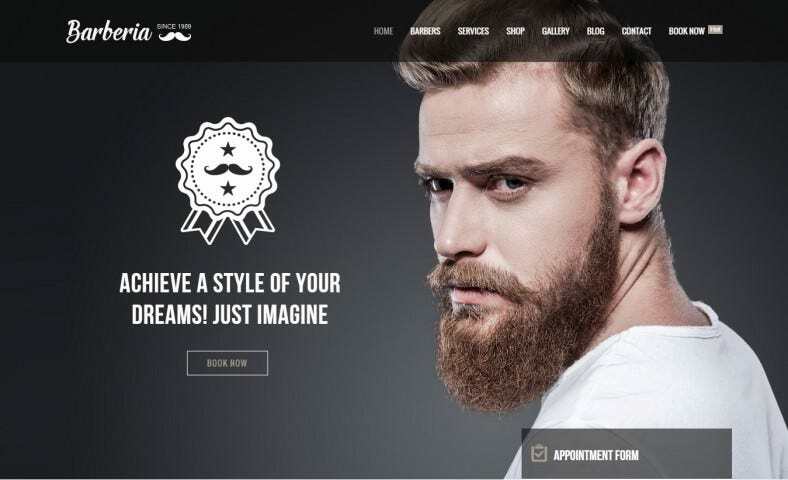 This sample retina ready barber hair salon responsive template comes with 37 different types of HTML 5 files along with mega menu support and revolution slider. 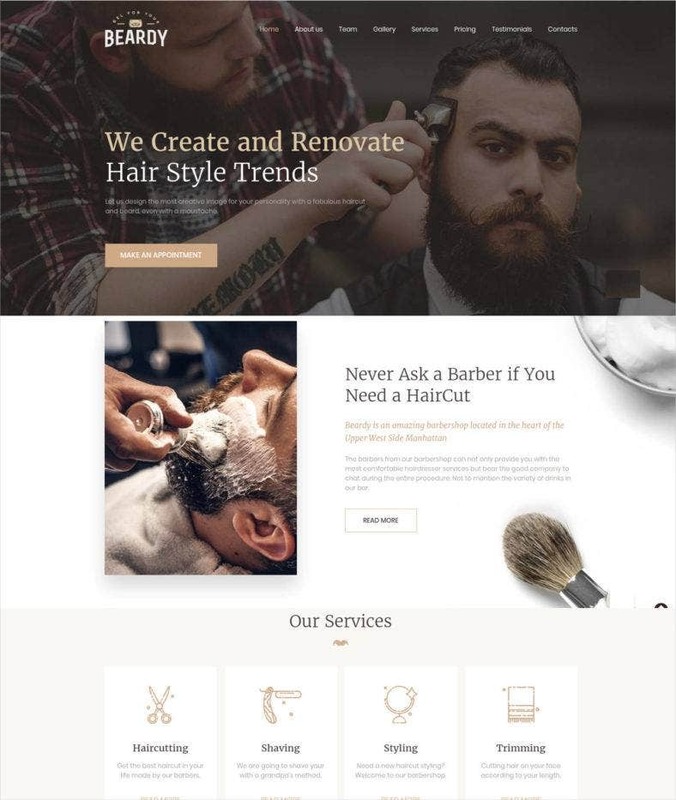 This template is building on bootstrap framework and has dedicated blog, shop and gallery pages along with appointment form and Rcw form builder. 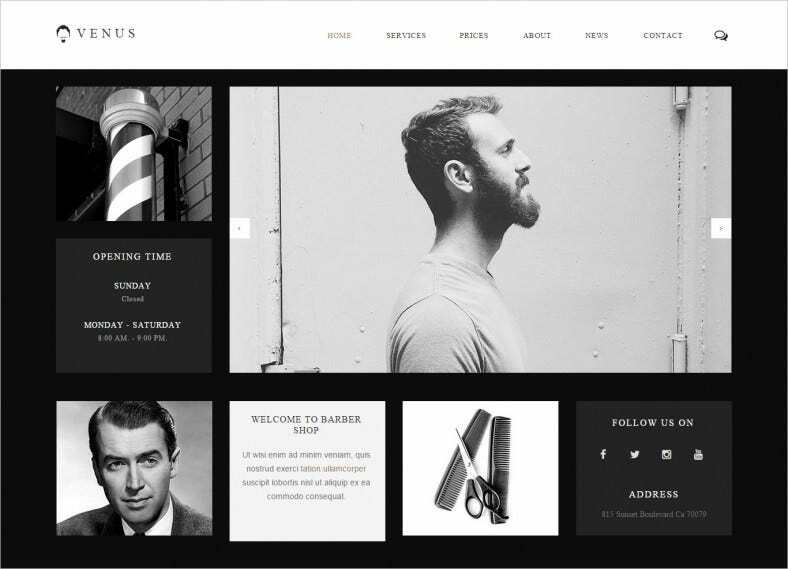 This sample of Stylish Hair Salon & Barber Shops Website Template is a perfect example of multi-purpose WordPress theme which is perfect for hair salons, hair dressers barber shops and beauty shops. This template has a responsive design with retina ready features, which makes it an ideal choice for any hi-definition screens. It also features pre-designed skins and provides color control option along with 600 different fonts. 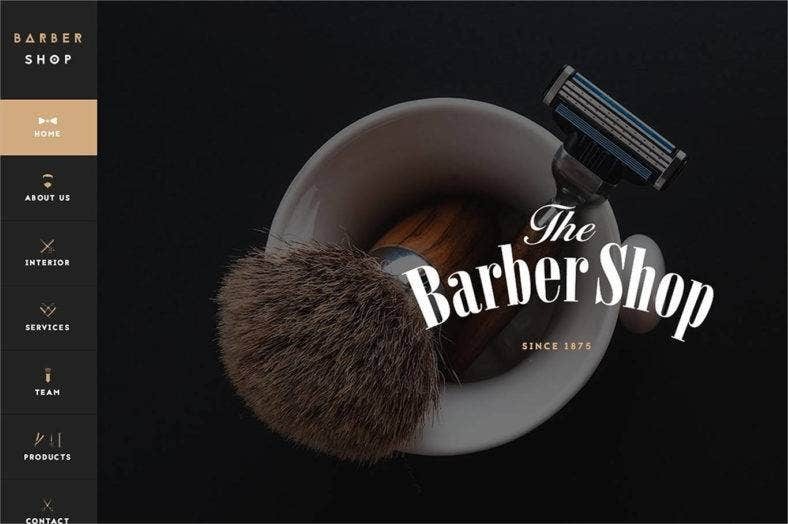 This sample of multipurpose saloon and barber store website template has a minimalistic design with modular and amazing flexibility, which can be customized to suit any theme. It is created using twitter bootstrap design and supports several different themes, color schemes and layout designs. Check out the sample content and print ready instructions with each free download. All you need to do is drag and drop real content to replace demo content. These template designs are unique, stylish and an accurate representation of your land-based business. 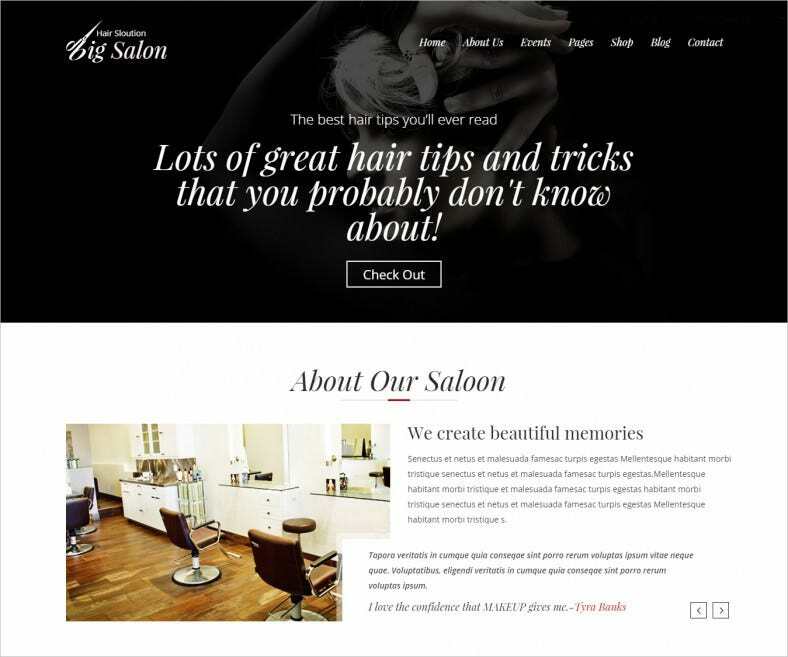 All the themes give above comes ready with a demo content, which can be used for testing purposes. There is continuous customer support from the backend team, to help resolve any problem which you might face in the process of creating your own website from these themes.